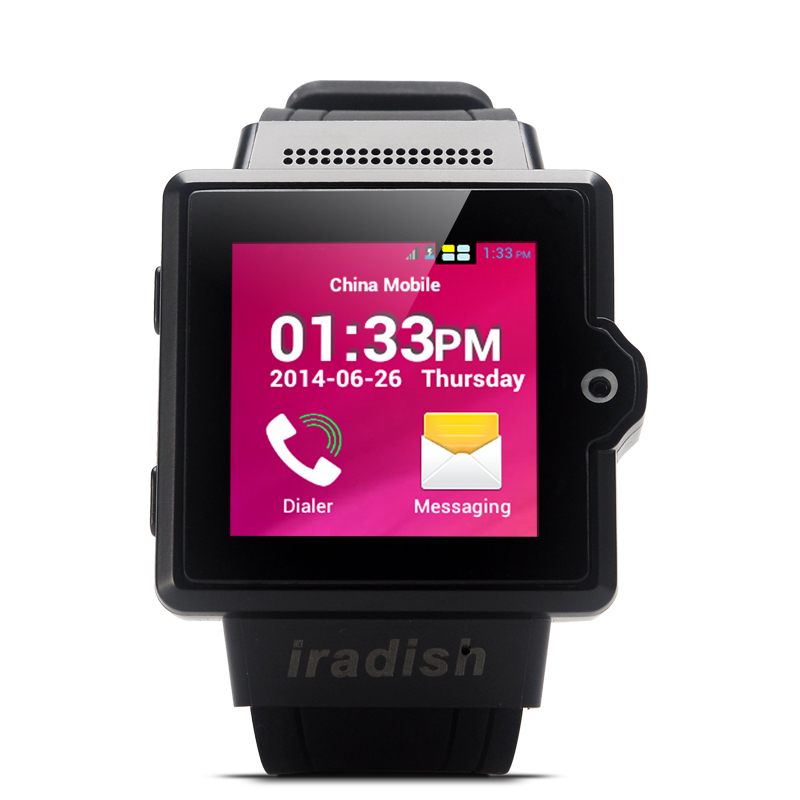 Successfully Added iradish i6 Android Watch Phone - 1.54 Inch Capacitive TFT Screen, MTK6577 Dual Core 1.0GHz CPU, 8GB Micro SD Card (Black) to your Shopping Cart. 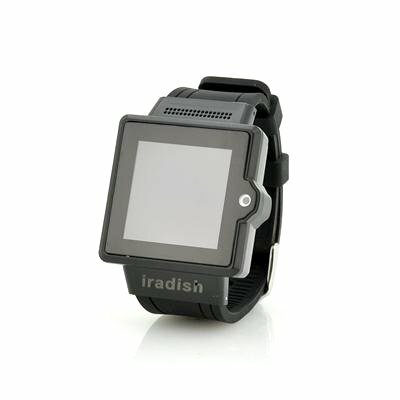 iradish i6 Android Watch Phone features a 1.54 Inch Capacitive TFT Screen, MTK6577 Dual Core 1.0GHz CPU and 4GB internal memory making it convenient to be worn on your wrist. Looking great on the wrist is this excellent Android Watch Phone known as the iradish i6. A quality made watch phone that takes full advantage of the Android 4.0 operating system, which lets you really explore one of the most user-friendly but advance platforms to date. With a MTK6577 Dual Core 1.0GHz CPU, you can run all the latest applications effortlessly as this practical sized watch phone packs plenty of power. Save all your files such as music, video and eBook formats directly on to the 4GB of internal memory that the iradish i6 watch phone has or update it via a micro SD card. Control this watch phone with a 1.54 inch capacitive TFT screen, so not do you have full control at your fingertip but you also have a fantastic display to view all your content. After inserting a GSM SIM card, you can replace your watch and smartphone.